Once per week for 6 weeks. 2016 dates yet to be scheduled. Contact for details. Once per week for 3 weeks. Self-defence courses consist of sessions in strikes, kicks and movement, defences against grabs, chokes, weapons and ground positions. Courses are perfect if you’re looking for defence training that may help your confidence. The classes are designed for 14 years and over because you’re never too young to know how to stand up for yourself. 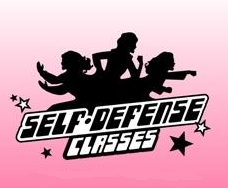 The self-defence sessions include instruction and practice of techniques to deal with an aggressor who is usually physically stronger than you.